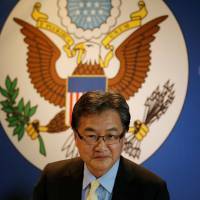 In a stunning development that will leave an already depleted U.S. diplomatic corps in even further disarray, the State Department’s top diplomat in charge of North Korea policy has announced that he will step down from his post at the end of the week. 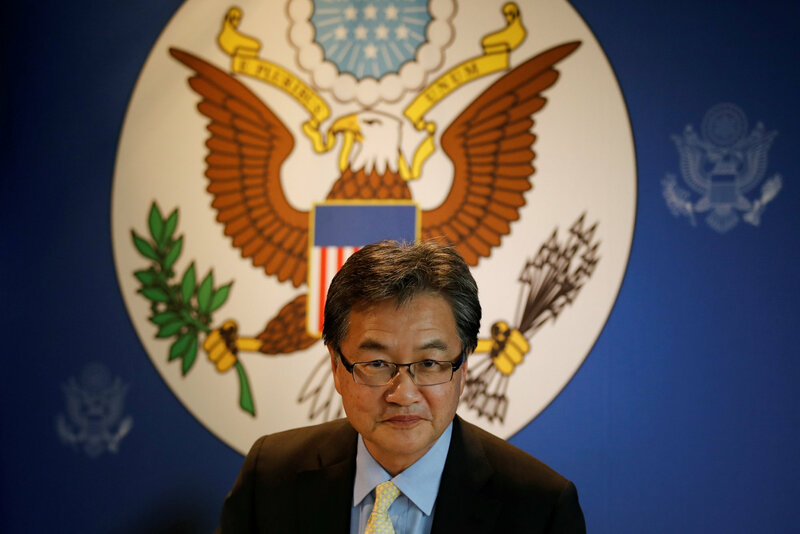 “Ambassador Yun has served with distinction for more than 30 years, most recently as Special Representative for North Korean Policy and prior to that as U.S. Ambassador to Malaysia,” Nauert said. His departure comes amid a thaw in relations between the two Koreas and will leave the U.S. without a seasoned veteran in place on the North Korean nuclear issue as the State Department grapples with staffing issues. The White House has still not nominated an ambassador to South Korea, 13 months into the Trump administration. Victor Cha, a North Korea expert, had been in the running for the job, but the administration abruptly scrapped his candidacy last month amid speculation that he had opposed a so-called bloody-nose limited strike on the North aimed at sending a message to the regime. North Korea has conducted a spate of test launches over the last year, including of a longer-range missile experts believe is capable of striking most of the U.S. It also unleashed its most powerful nuclear blast to date in September, in what it claimed was a test of a thermonuclear weapon. The Trump administration has repeatedly said that “all options remain on the table,” including military action, to rein in North Korea’s nuclear drive — a prospect that has stoked concern in Seoul and Tokyo. But the Korean Peninsula has seen a wave of diplomatic moves over the last several weeks as the U.S. and North Korea have appeared to move closer to the possibility of early talks on the nuclear crisis. U.S. President Donald Trump said Monday that such a move would come “only under the right conditions,” a refrain that came just a day after a top official from the North said for the second time that Pyongyang was open to dialogue with Washington. “They want to talk. And we want to talk also, only under the right conditions. Otherwise, we’re not talking,” Trump told a meeting of U.S. governors at the White House in Washington. Van Jackson, a North Korea expert and former policy adviser in the U.S. office of the secretary of defense, said Yun’s retirement did not bode well for diplomacy. The timing of Yun’s announcement could also affect the budding diplomatic moves with Pyongyang, Jackson added.